Last year, we moved into a new home. It was by chance that I ended up meeting the previous owner before we closed on the house. And, in those few hours we spent chatting, I learned that they had not only planted a garden but also fruit trees and bushes. 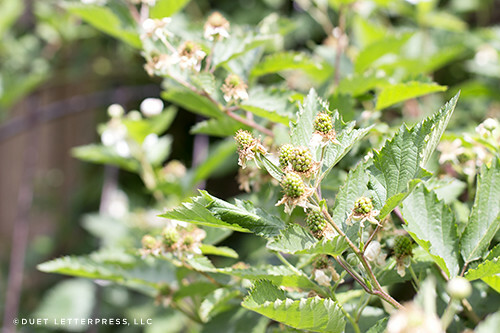 A satsuma tree, peach tree, blueberries and thornless blackberries. 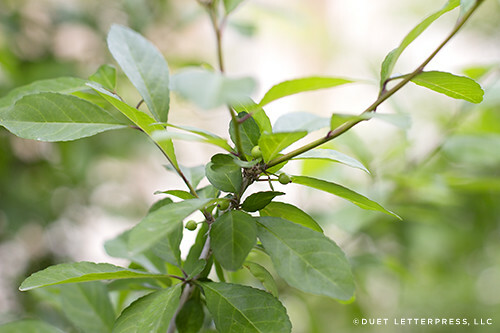 This past weekend while Em was swinging on her swing set amongst the bubbles floating in the air from her new bubble machine, I peeked at the fruit trees and bushes and I saw baby fruit! I am so excited! 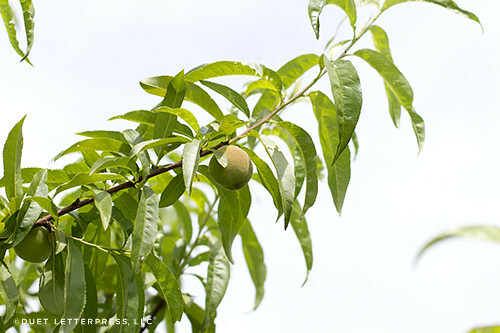 Fresh, homegrown fruit for the summer! Since this year Christmas was a four day holiday weekend, we drove to Louisiana to celebrate with family and came back to our house Christmas Eve. This was also the year Em really got the magic + excitement of Christmas so it was nice to be in our home Christmas day. We started new traditions – placing milk + cookies out for Santa and opening a gift of Christmas pajamas on Christmas Eve. We put out all of her presents + Santa’s gifts Christmas Eve so Christmas morning she was quite shocked to see everything under the tree. 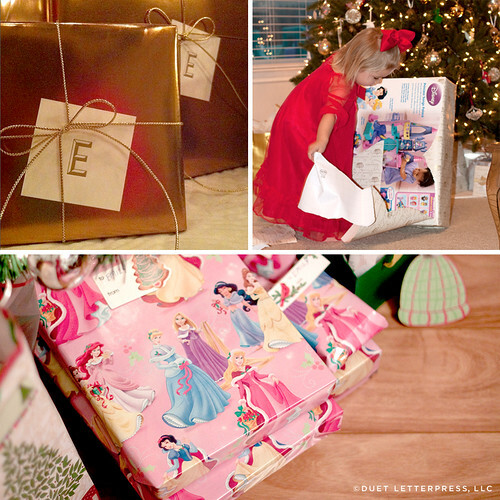 We placed letterpress printed “E” tags on all of her gifts. She had a blast spotting all of the “E”s to open. How was your holiday? I hope it was warm + wonderful. Now that Em is 2.5 years old, we figured it was time for us to finally get a full size Christmas tree to replace our little faux tabletop one. After much looking around, we decided on a faux tree from Balsam Hill but there are so many types of trees to choose from! We decided to order the branch sample kit to get a better idea of what we liked. 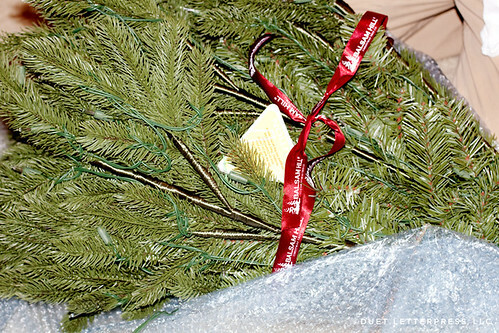 Their Norway White Spruce was the winner for us. The tree arrived in two huge four foot boxes [boxes that Em now plays rocket ship in] and sat in our foyer until Friday night. After Em went to sleep, we put on the Christmas music and put up the tree! 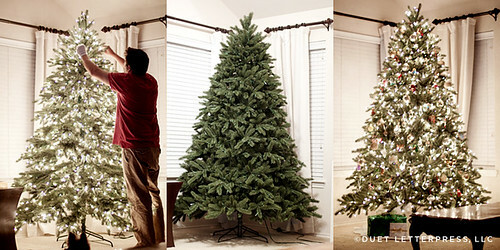 The left picture is the tree the first time we put it up. We put it together and realized we were suppose to “fluff” the tree in sections. The second picture is after we took it down + fluffed it correctly. The third is after it was fluffed and decorated. 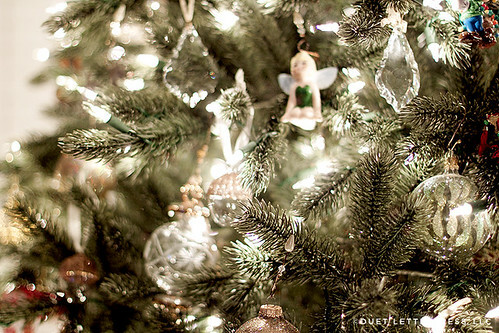 The next morning, Em got up and was thrilled with the tree and all of the decorations around the house. 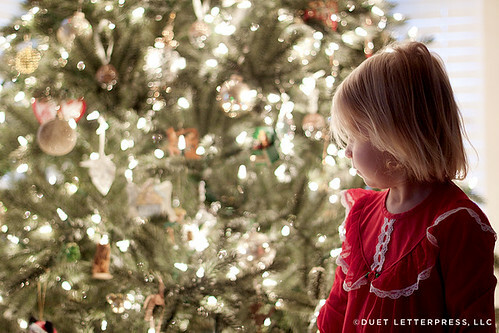 She spent a long time spotting the different ornaments on the tree and finding all the new Christmas things in the house. And, since it was the first day of December, she was able to open the first door in her Advent Calendar. That’s what we did this weekend. How about you? When did/will you decorate? How was your holiday weekend? Ours was busy but great! 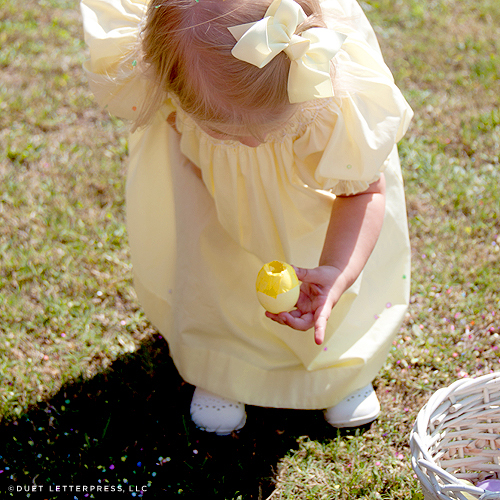 We kicked it off with an Easter egg hunt + birthday party for Em at her school. Then our families and friends came in to celebrate Em’s birthday. She turned two! Two. I can barely believe it. Then we had another Easter egg hunt at our house on Sunday. Here is Em after she discovered her homemade confetti eggs. 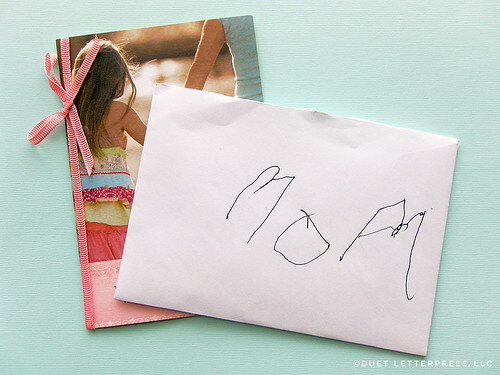 I can’t wait to share her birthday invites + party pictures with you. But first, I’ve got tons of picture sorting and editing to do! To those that celebrate it, hope you have a happy + safe Mardi Gras! 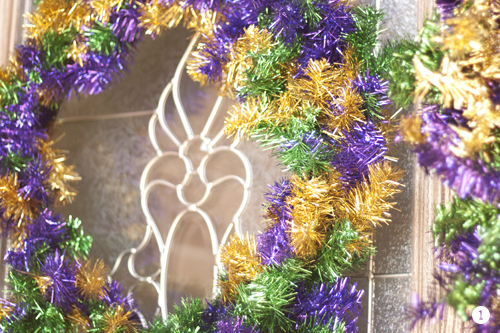 1 / This weekend, Christmas decorations finally all came down + Mardi Gras decor went up. I love the carnival season! 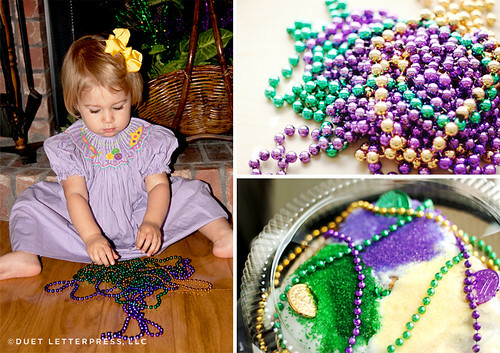 Bring on the king cakes + Mardi Gras balls! 2 / Saturday, we drove out to College Station. 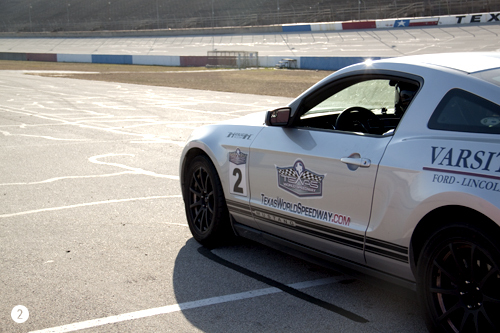 Kacey and his brother did the ride + drive experience at the Texas World Speedway. We gifted the experiences to them last year for Valentine’s Day. They both are into Formula 1 so they loved this! I’m so glad they enjoyed it. 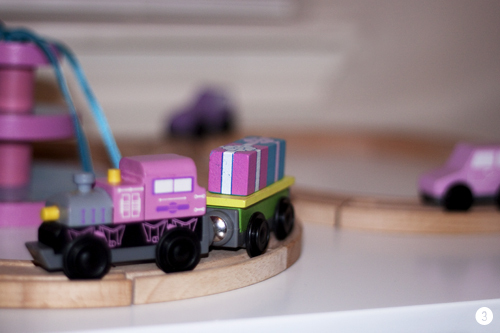 3 / Em loves her new pink train set. She played with it all weekend. Thanks Granbie + Skipper! This year, we enjoyed a cozy little Christmas at our house. Then, we celebrated Christmas again with my family over the New Year’s holiday weekend. 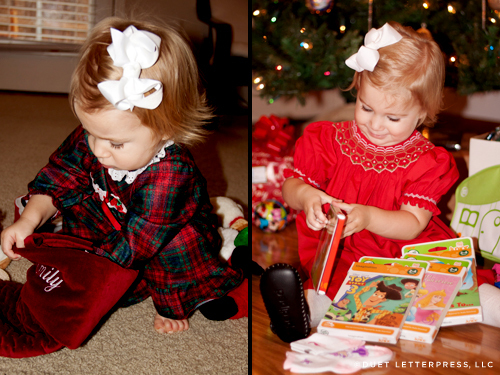 Here are a few snap shots of Em opening a few of her presents. It was so fun to see her get excited + tear open her gifts!